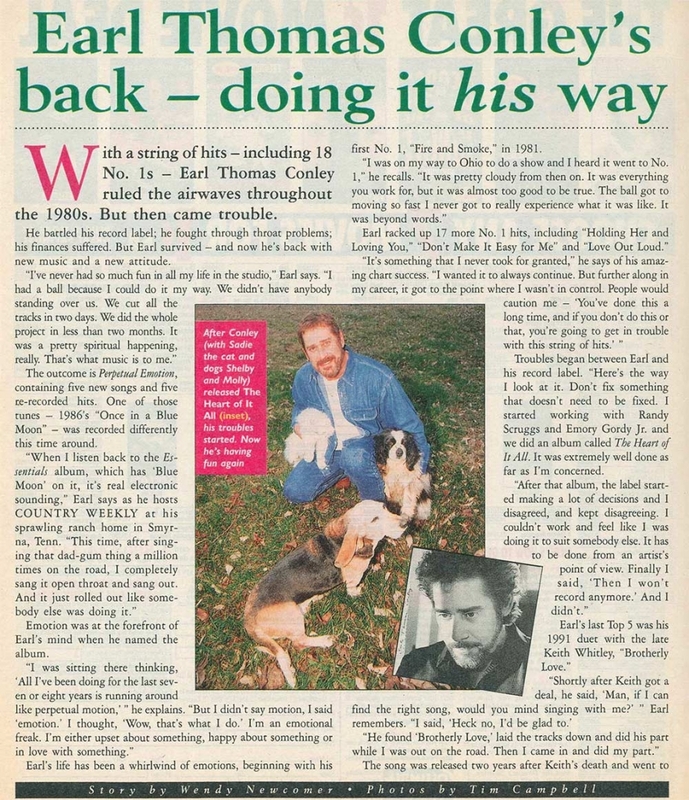 Earl Thomas Conley passed away at age 77 on April 10. Earl was known for blending different musical styles with deep, intelligent lyrics into what was called “thinking-man’s country,” often bending the rules of what was considered traditional country. Earl recorded 18 No. 1 hits in the 1980s, including “Fire and Smoke,” “Somewhere Between Right and Wrong,” “Right From the Start,” “Love Out Loud” and more. 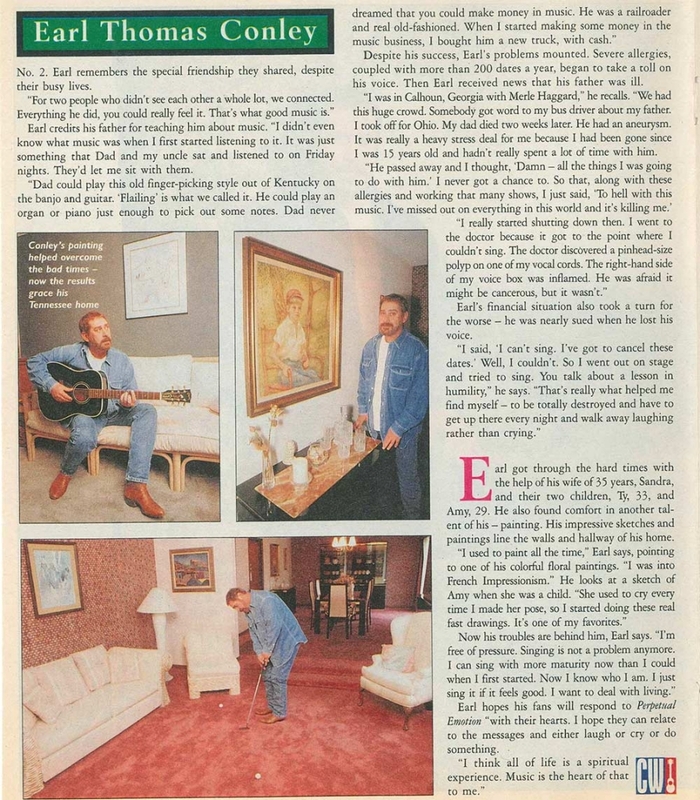 NCD combed its archives and found an interview with Earl from the April 7, 1998, issue of Country Weekly magazine, penned by Wendy Newcomer with photos by Tim Campbell. To learn a little more about Earl, including some of the hardships he overcame, check out the article below.